Happy 4/20 2018! We’ve already talked seriously about what almost legal means for attending events this year (be safe!). And this is a day of celebration. So it’s time for our annual puff’n’pass poetry. But Canada’s legalization, and the increase of corporate investors who have previously been anti-pot, mean worry remains over overturning past convictions, helping craft growers, and freeing cannabis in a capitalist society. It’s April, and one of the big North American/International pot-party-protests is just around the corner: 4/20 2018 celebrations! But this year is a little bit different and a little bit special. After years of agitating for cannabis freedom, across North America there’s been a wave of recreational legalization. Canada still looks forward to legal recreational cannabis this summer, although we probably won’t be able to buy it legally for Cannabis Day. Meaning 4/20 2018 may be the last civilly disobedient Canadian protestival for our favourite plant. I’m an online, behind the scenes kinda guy. I’m of no use in real life event planning or management, and I’d rather type than speak. So although leading up to each M.O.M. Cup I bust my tail, during the actual weekend I’m just one more media rep. It works out well, since I can experience what judges actually experience. And attending M.O.M. Cup 2018 was an experience. 4/20 2017 was a unique day in Canada. Just a week after the federal Liberals revealed legislation for recreational marijuana, we should have only been celebrating. Instead, advocates and activists were also protesting the ridiculous restrictions this bill introduces. It treats marijuana as more dangerous than alcohol and tobacco, encourages a big-business oligarchy, and won’t protect kids or drive out organized crime. As you may know, I was never keen on 4/20 celebrations being on the Vancouver Art Gallery grounds. It drove me nuts that the most prominent art institution in Vancouver had its grounds disrespected, and even worse, that they had to close their doors for the day. There are other reasons that I am glad the location is changing for 2016, but those two are big ones. Still, I already wrote that article. This one is about what happens inside the gallery, which I think is pretty awesome. And certainly lends itself to blazing beforehand. When I turned the corner of Burrard and West Georgia on April 20th, 2015, I could see an oversized joint proudly jutting to the sky, puffing away. The smell of a thousand burning joints got stronger and stronger with every step towards one of BC’s greatest art institutions, the Vancouver Art Gallery. A large banner parodying a package of Zig-Zag whites with a caricature of Trudeau’s face covered the current exhibitions banner. People had set up blankets and booths all over the gallery grounds. 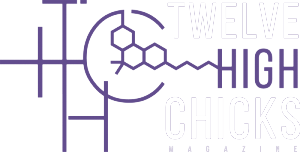 Twelve High Chicks would like to thank our first guest contributor, Tracy Curley. In my regular day I am just like you. I binge-watch Netflix. There is always something that needs to be cleaned, paid or taken care of in some way. I struggle with my self-image. I worry about the state of the world. I love my friends and family, and my little Chihuahua, Sadie. I’m also a medical marijuana patient: diagnosed with type 1 diabetes at age 6, I have been using cannabis medicinally for over a decade. With the use of cannabis I’ve been fortunate to be healthy enough to advocate for medical marijuana and legalization, to fight for those still caught in the struggle caused by prohibition. I was no super hero — until I was. High, My name is Tracy Curley and I am Canada’s first Weed Woman. Four-twenty—or if you prefer, 420—is much more than a number, to hundreds of thousands of North Americans it’s a celebration of a lifestyle. Four-twenty became code for smoking marijuana or toking up in the mid 1980s. 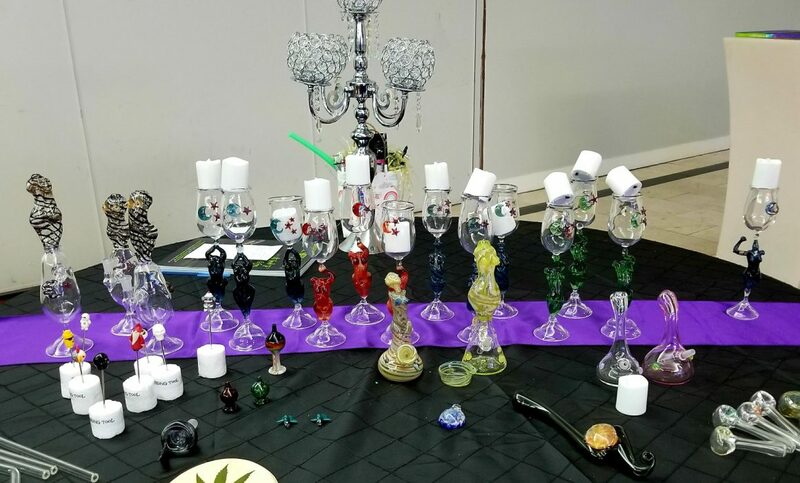 To this day countless people light up, vaporize, rip the bong, dab and more at 4:20pm. Others wish friends and strangers alike a happy 4:20 as the clock marks this iconic time.